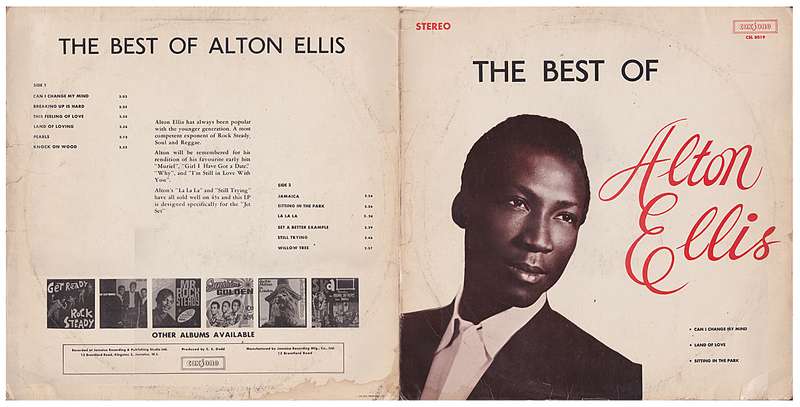 Second Jamaican edition, also in split stereo but with a slightly different mix. It was was also pressed at Federal Recording Studio and came in the same sleeve as above. 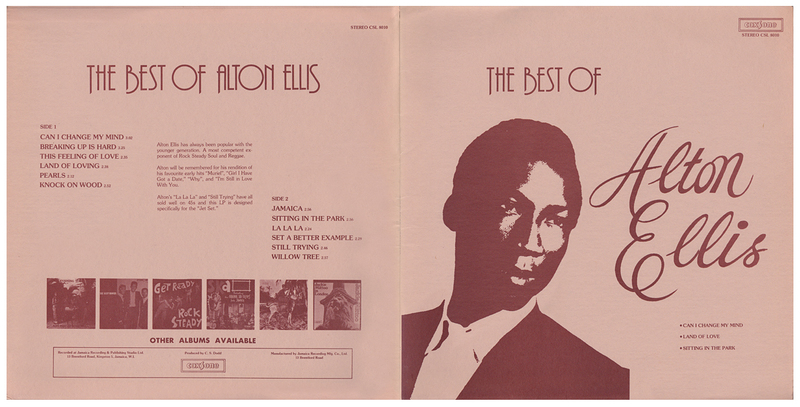 Third Jamaican edition (now also on a Studio 1 label), in conventional stereo. 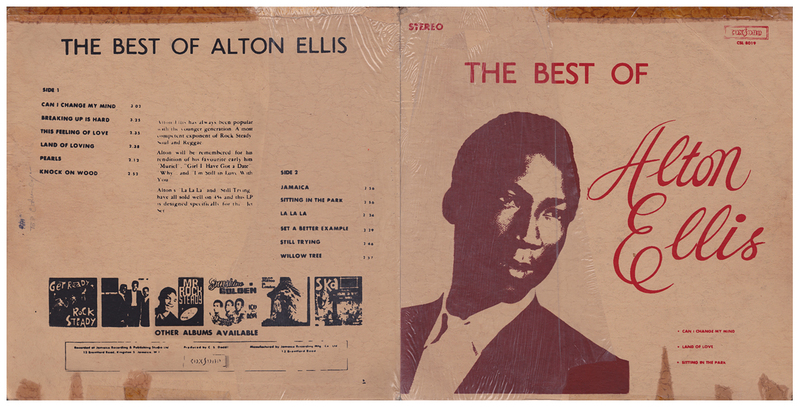 The sleeve design, also printed by Speed-O-Graphics Printers Ltd., is almost the same as the original with black lettering and red script. Yet another version of the third edition. The sleeve still carries a credit to Speed-O-Graphics Printers Ltd., but the portrait on the front is now tinted pink. 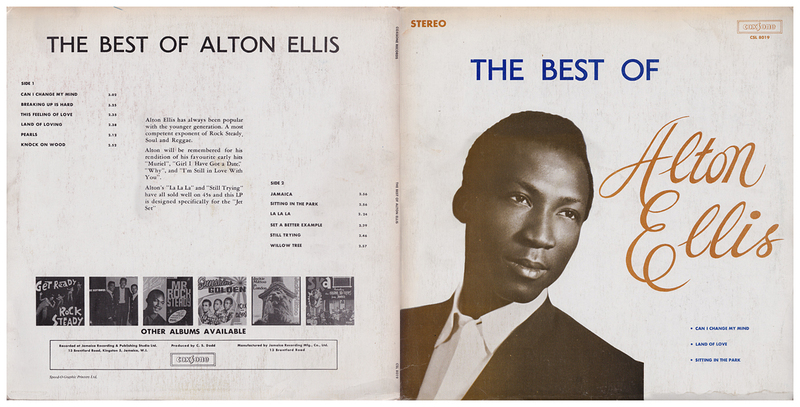 The fifth edition, also in mono, featuring extended versions of Breaking Up Is Hard and Willow Tree. The matrix in the run-off groove credits KK Mastering, indicating that it was mastered by KK Mastering Labs, Inc., in Miami, Florida. However, the label states that it was 'Made in Jamaica'. 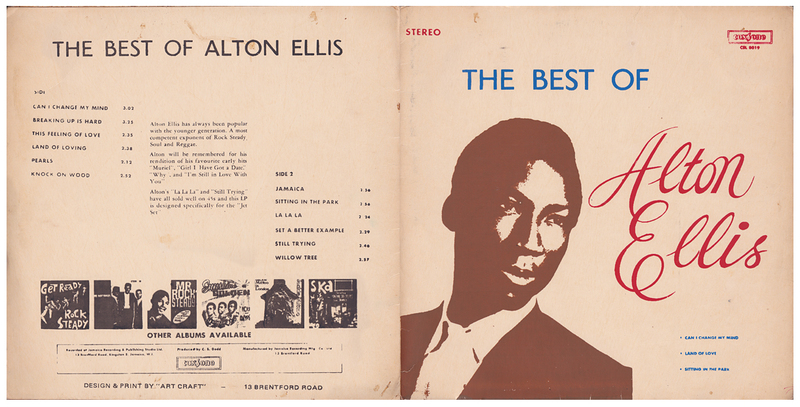 The catalogue number would suggest that The Best Of Alton Ellis was intended to be released as part of the UK series of albums on the blue Coxsone label - following Reggae Time (CSL 8017) issued in 1968, and Swing Easy (CSL 8018) issued in 1969 - but was only released in Jamaica. There are at least 6 different editions of the album. Released on Studio One CD in 1995 in mono with extra Treasure Isle* tracks, Can't Stop Now, Remember That Sunday, Baby I Love You, Chatty Chatty and Cry Tough, but omitting La La La. Also includes extended versions of Breaking Up Is Hard and Willow Tree.